The Oscar C. McCulloch School No. 5 was once located at the intersection of Washington and Blackford Streets on what is now the grounds of the White River State Park. 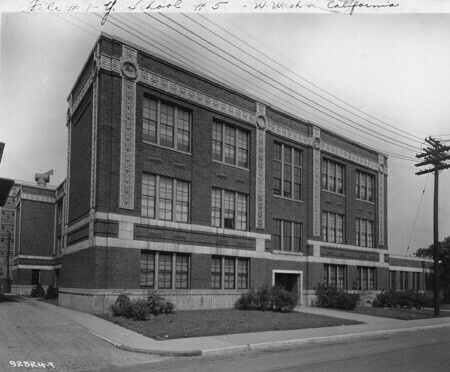 Named for the Christian social activist, Oscar Carlton McCulloch, the school was built to serve disadvantaged children and to better their neighborhoods. Construction on the Oscar McCulloch School lasted from 1920-22. The school had an average enrollment of a few hundred children, mostly from the Haughville and White River neighborhoods. These neighborhoods were the most ethnically diverse in Indianapolis, made up of Slovakian, Romanian, Greek, Lithuanian, Bulgarian, Hungarian, Roma, Appalachian, Chinese and African American families. To promote community and ease financial strain, the school provided free social services for students and their families including free day care, dental and mental health clinics, as well as classes taught on American citizenship, government, and English language. After 1950, the fluctuating automobile industry in Haughville encouraged many families to move away. In 1968, after years of decreasing enrollment, School No. 5 was converted to a school for children with mental and emotional difficulties. In 1978, those children were moved to mainstream classrooms and the Oscar McCulloch School finally closed. In 1980, the land on which the school stood was purchased by the White River State park Commission as the site of the new Indiana State Museum. By 1981, plans were set to demolish the school. In 1985 the school was destroyed, leaving only the front facade. Public outcry was immediate. Former students, one-time residents, and all who knew what the school meant for Indianapolis demanded justice and reparations. The historical preservation groups of Indiana brought suit against the Parks Commission and insisted the school be remembered and memorialized. After years of litigation, the Indiana State Museum agreed to rebuild the façade of the Oscar C McCulloch School inside of its own walls. Using school emblems, the terracotta tiles, and what was left of other building materials to rebuild the front wall, School 5 is now used during school tours to teach about educational history in Indianapolis and every visitor is graced by the school's overwhelming presence in the main hall of the museum. As intended, the facade creates conversation about education, preservation, and Indiana’s history. For more on this location, check out our Indiana State Museum page! Kelsey Bawel, “A Building in a Building: Oscar C McCulloch School No. 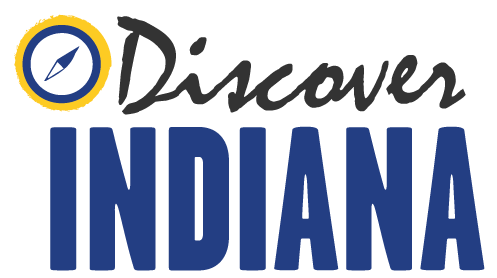 5,” Discover Indiana, accessed April 25, 2019, https://publichistory.iupui.edu/items/show/11. Published on Nov 5, 2013. Last updated on Apr 2, 2019.